It's the dedication behind the people of Joia-Agency that makes me so proud to be a part of this gang. It's the details. Not only that they got the best DJ line up in Scandinavia, all the shiznit around it looks good. The website is smokin' hot and yesterday they posted their first newsletter. I mean, come on! 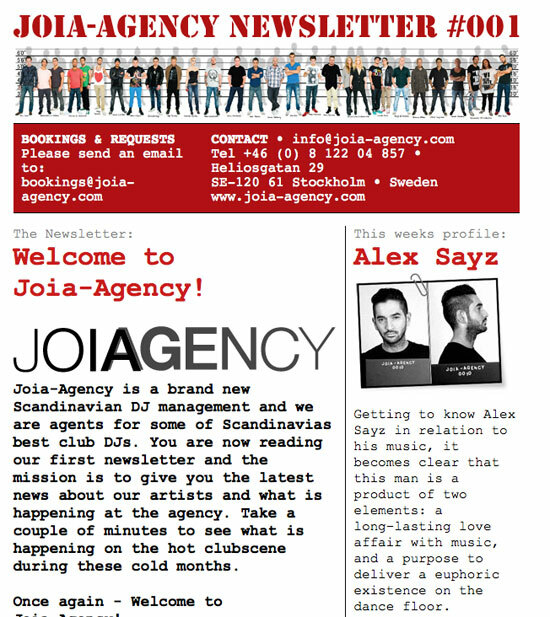 Have you ever seen a newsletter looking this good? Click here to read the full mail. I'm honored that Joia picked me as the first DJ profile. Whoop whoop!